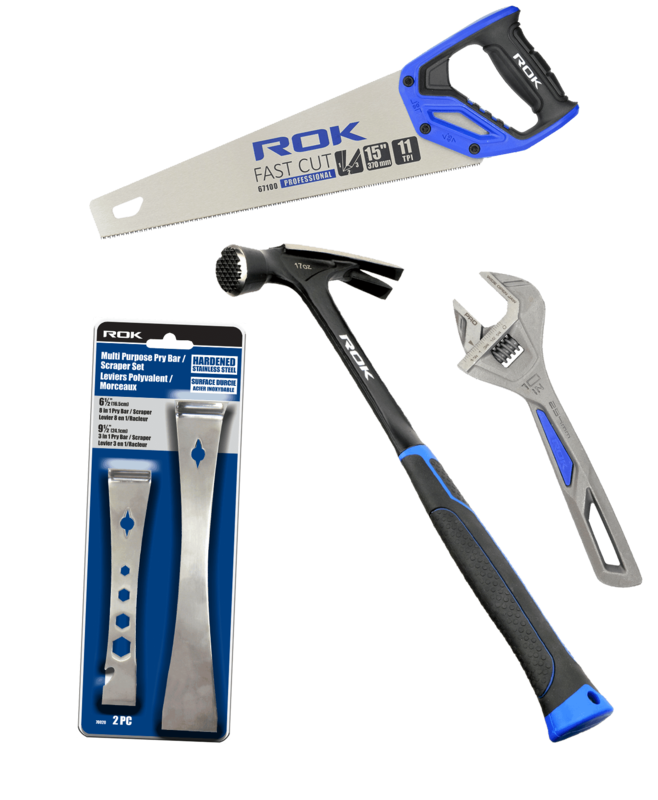 Built for contractors and tradesmen, ROK products are made for the toughest job sites in Canada. With innovative design and superior workmanship, ROK helps contractors get the job done right every time. 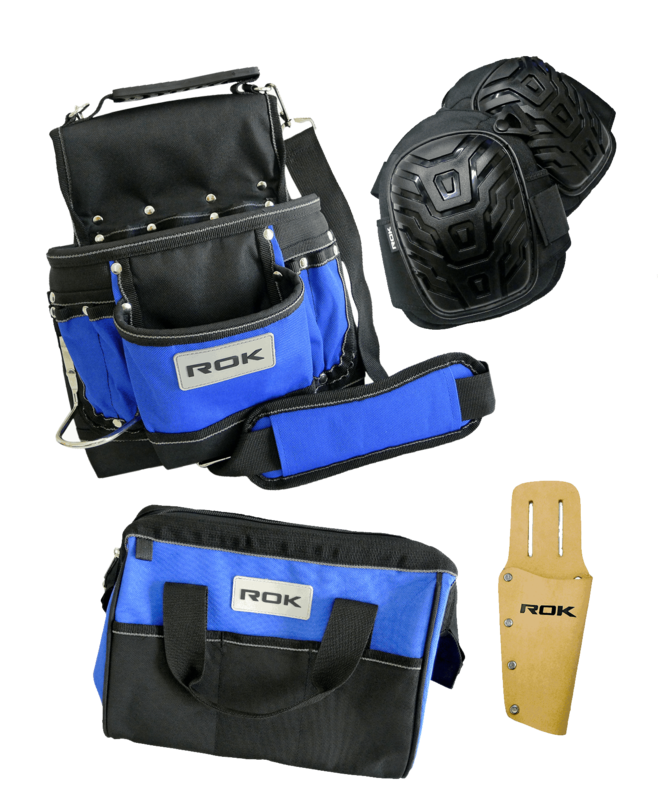 Keep safety at the forefront with ROK’s growing range of safety supplies and protective gear. 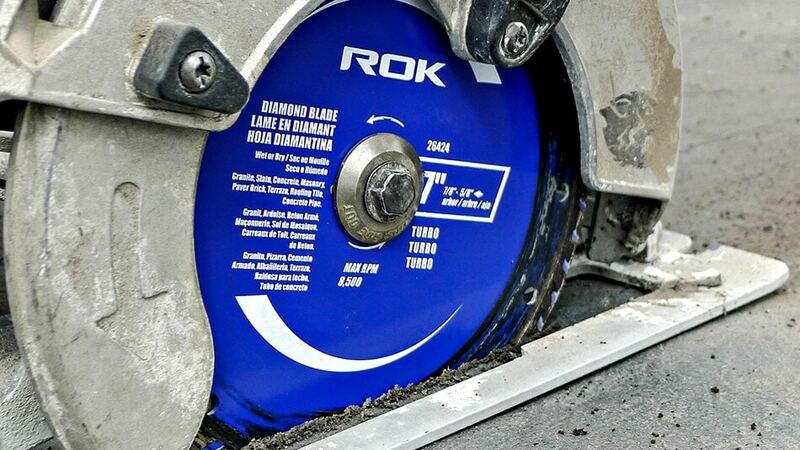 Focused on precision, performance and innovation, ROK is dedicated to delivering advanced solutions for contractors and industry professionals, offering increased productivity and unmatched value. 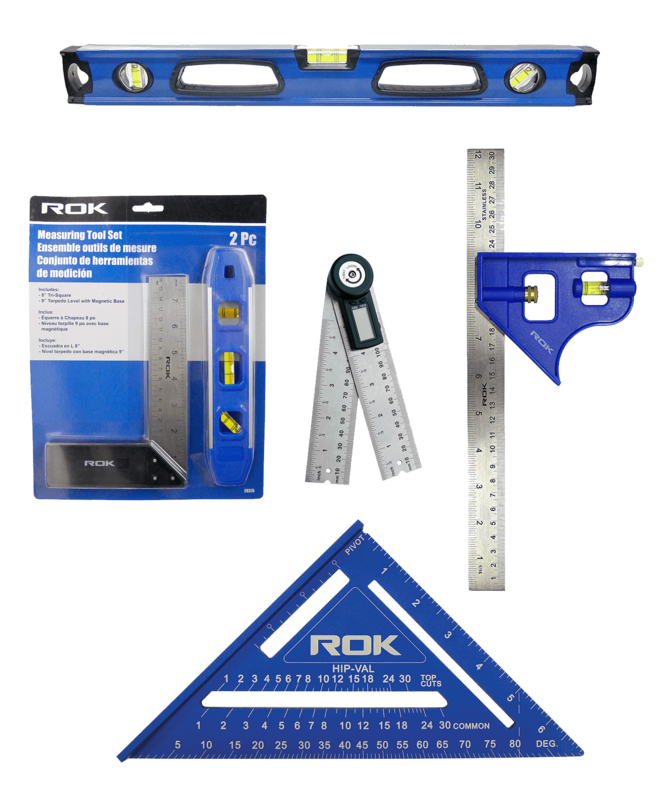 ROK offers a complete range of power tool accessories, measuring and layout tools, air accessories, clamps, and safety products. Our products offer the best value while providing contractor quality and performance. 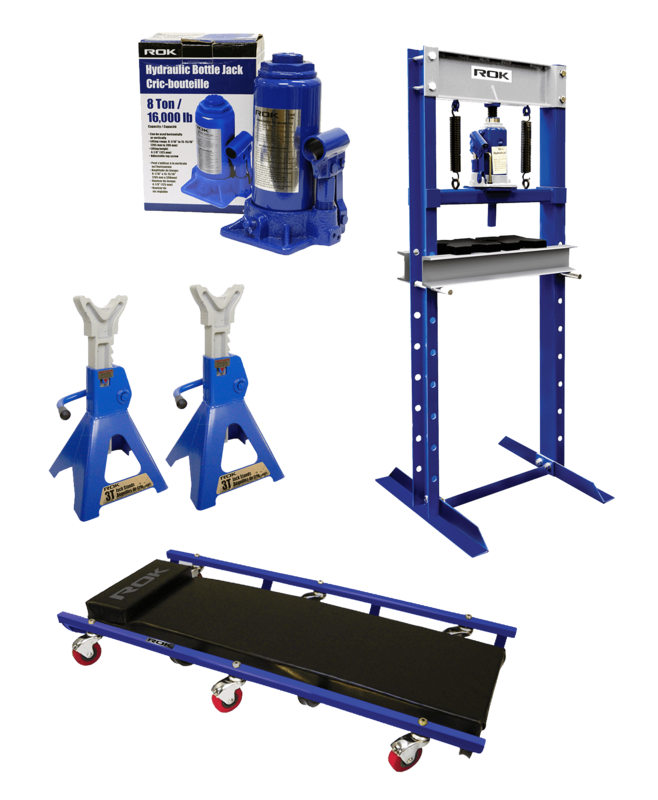 Through innovative design, superior workmanship and attention to detail, ROK delivers outstanding reliability for Canada’s demanding job sites. 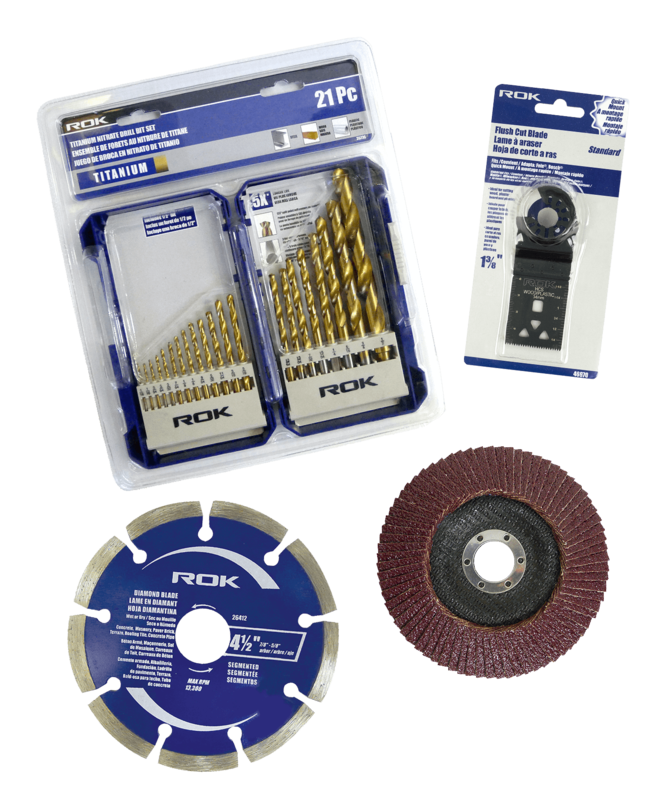 Drilling, sawing, sanding, grinding in wood, metal or concrete, ROK has all the accessories to get the job done right. 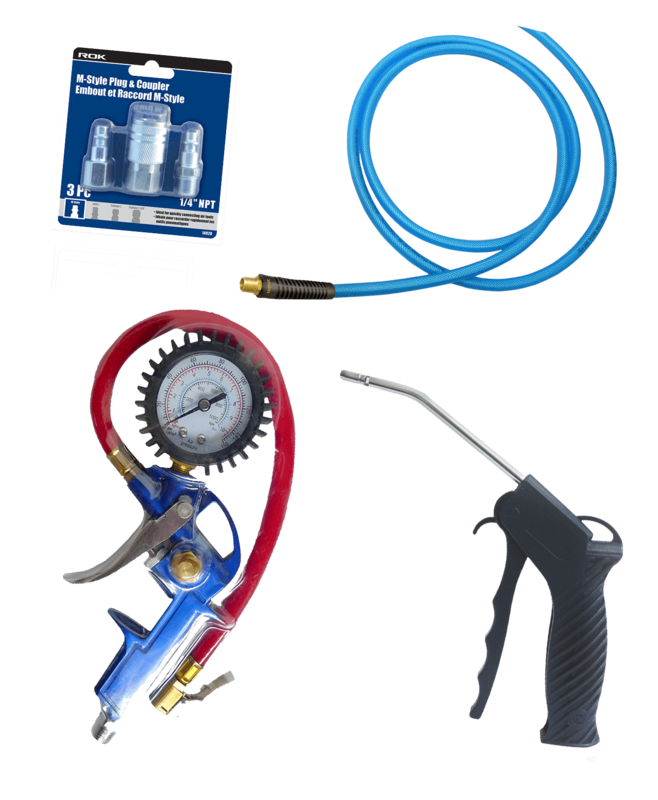 Job site or shop, we have you covered with a full range of air fittings, air hoses and other air accessories. Levels, squares, rulers and more. Everything the professional needs. 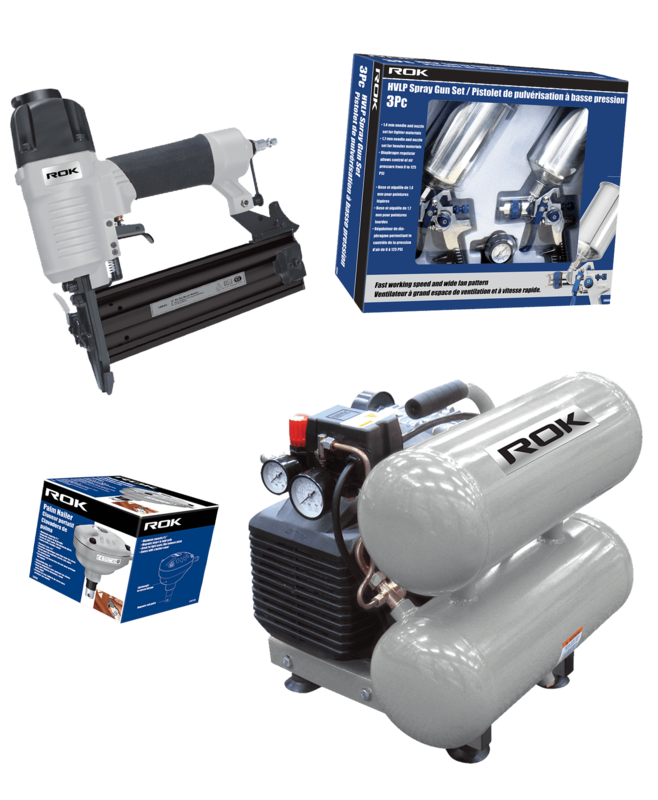 Finishing nailers and compressors for construction; Automotive air tools for mechanical work. Nylon tool bags and carriers for organizing and transporting tools; Leather tool pouches for carrying all your construction tools. Tools for everything from specialty woodworking, plumbing and electrical to general construction hand tools. 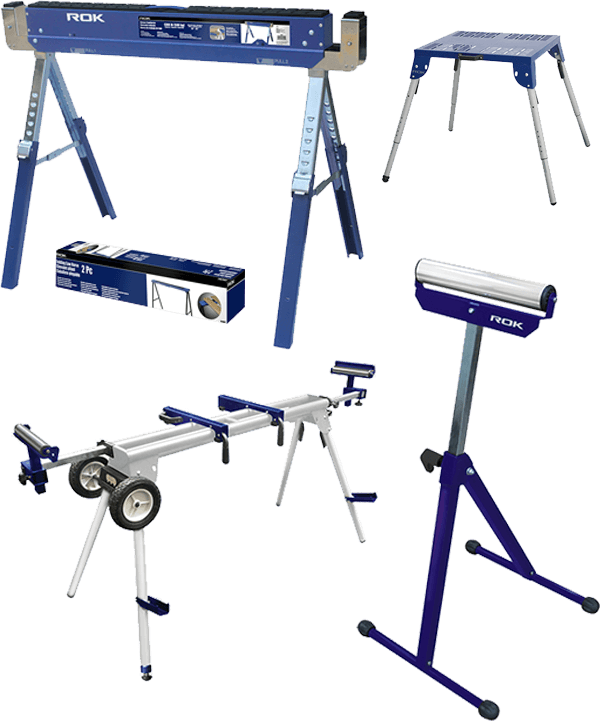 Roller stands, miter saw stands, sawhorses and more. Jacks, stands and creepers for all your automotive needs. 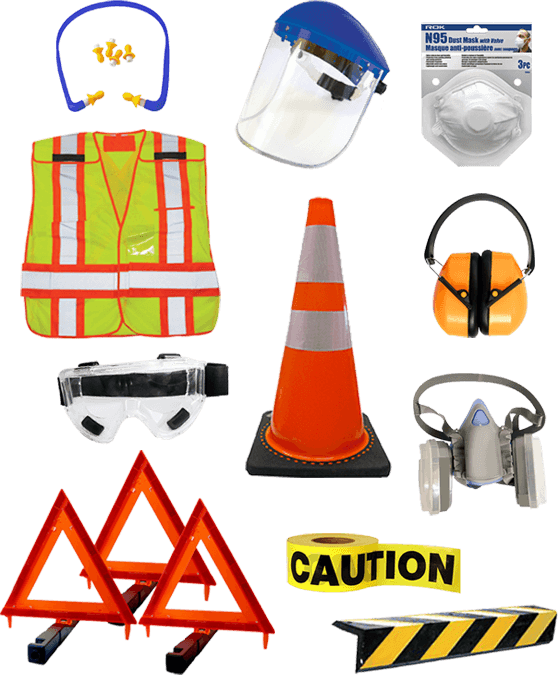 Supplies and personal protection equipment to keep you safe on the job.